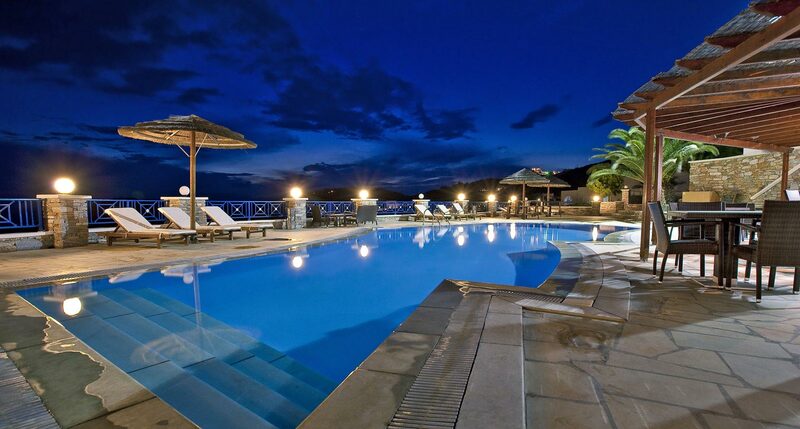 Dreaming of an exciting holiday in an exceptional hotel with the most inspiring views in Ios Greece? 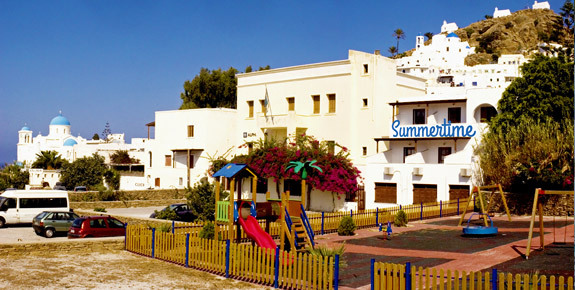 Make Hermes Ios Hotel your summer retreat and relish warm hospitality and amazing facilities! 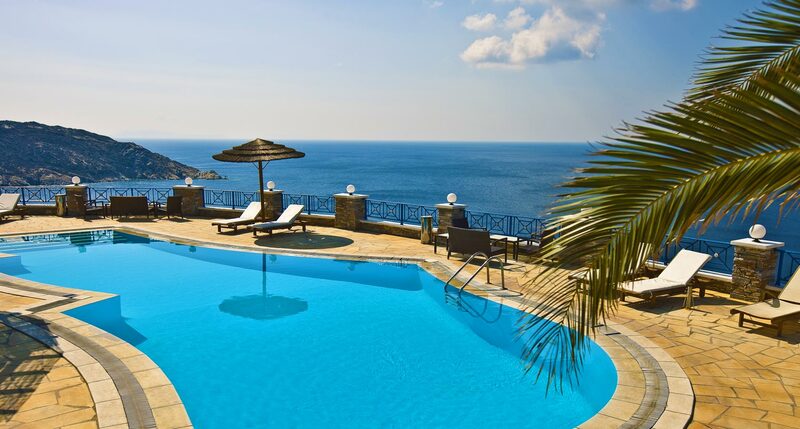 Treat yourself to a thrilling and rejuvenating summer vacation on Ios Island and enjoy the perfect stay at Hermes Hotel in Ios Greece, one of the most hospitable Ios hotels. 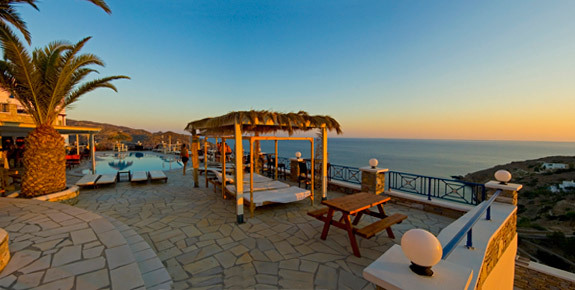 Hermes Hotel lies in the region of Agios Ioannis, just 700 m from the marvellous setting of Ios Town or as locals call it Chora, which is situated on the western side of the island. Hermes Hotel is housed in impressive premises uncompromisingly adhering to the Cycladic style featuring shades of white and blue, with arches and austere lines, making it one of the most charming traditional-style hotels in Ios Greece. At Hermes Ios Hotel in Agios Ioannis of Ios you will be hosted in one of its 25 fully-equipped rooms for rent and you will relish excellent facilities, such as a quenching swimming pool with pool bar, and an elegant cafe-bar and roof garden for relaxing evenings with amazing sea views in the background. At Hermes hotel you will be pampered by expert staff while the management has paid particular attention to the services provided guaranteeing a pleasant stay and relaxing accommodation on Ios Island Greece. We will be glad to welcome you at the Hermes Hotel in Agios Ioannis, belonging to the 3-key Ios hotels in Greece, operating all year round. Contact us and find out about our Special Offers! 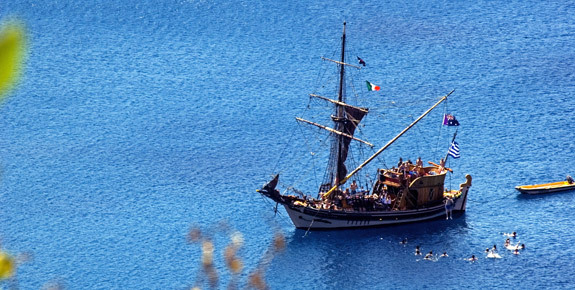 Ios is a small yet very popular island getaway in the Cyclades cluster. It hosts many foreign visitors, creating a charming vacation melting pot. The island possesses all the characteristics of the Cycladic Islands; whitewashed houses, cobblestone alleyways, hundreds of churches and windmills. Along the coast of Ios Greece there are wonderful sandy beaches and secluded coves that are ideal for endless hours of swimming and sunbathing. When night falls, the island is transformed into a nightlife hotspot that offers entertainment till sun up. Sprinkle your holidays with excitement and fun and live amazing experiences on Ios Island Greece and the welcoming ambiance of Summer Time Rooms! 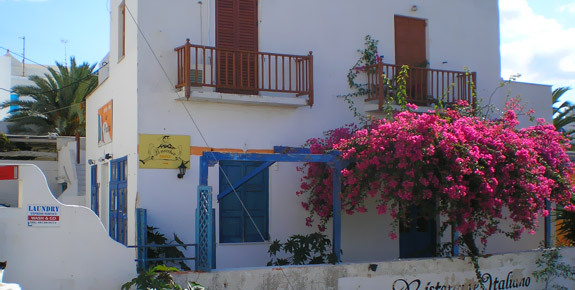 The Ios Property is centrally located in Chora (the capital of Ios Island in Greece) and consists of two homes on the first floor and two stores on the ground floor. The homes and stores come with their own respective property titles. This Ios Property in Greece is located near parking (within a 150-meter distance) as well as restaurants, pharmacies and clothing stores.